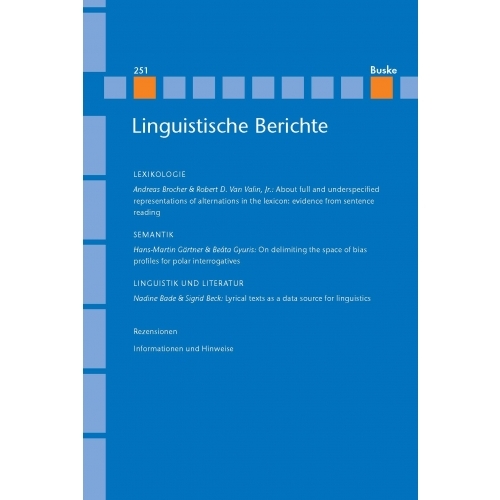 In this paper we present arguments in order to make the general methodological point that linguistics, especially semantics, should explore lyrical texts as a data source. 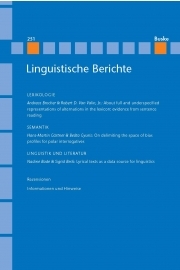 We show that a number of theoretical implications for linguistics emerge from the analysis of poetic texts. We claim that lyrical texts are in fact especially valuable for investigations in semantics for two reasons. First, the high density of creative uses of language by a language expert reveals the whole potential of language. Second, the lack of context creates a special communicative situation that makes poetry especially fit for investigations of grammar. We illustrate this by discussing the value of lyrical texts for studying coercion phenomena and referential expressions. We argue that lyrical texts follow the rules of UG by showing similarities with other types of data that have proven to be very fruitful for linguistic research. Accordingly, we thus propose that they should be considered more seriously as data for investigations of grammar, especially at the semantics-pragmatics interface.